Breakfast is the most important meal of the day but is the one that most of us have little time for. You can make these vegan recipes the night before (or at least prepare all your ingredients) and put it in the fridge, so in the morning you’ll be ready. Just grab yourself a spoon and enjoy! Three vegan breakfast recipes: one chocolate smoothie, one granola with berries bowl and one oatmeal. 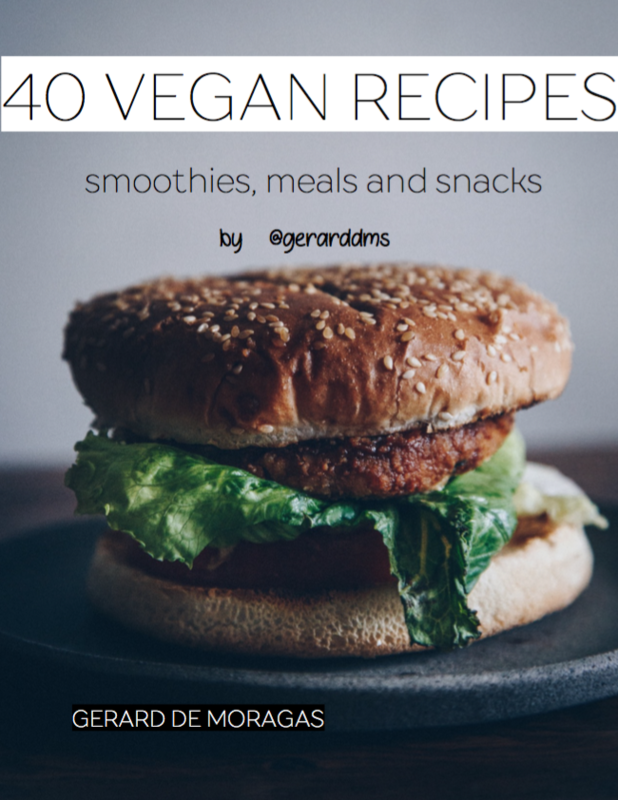 Also I want to remind you that my first ebook (40 vegan recipes) is available in the “shop” section for only 5.99$. It is also available in spain. In a bowl add granola, then start adding all ingredients until nice and beautiful. Blend banana and berries and add oat flakes and mix it all with a spoon. Add it to a bowl. Decorate with more berries, kiwi slices and sprinkle some oat flakes. Blend bananas and with cacao powder. Add it to a bowl and decorate it with granola, berries and one sliced banana.